Last week we took the opportunity to release The Importance of On-Site Staff to Meetings, Events and Incentive Travel – Part One, the first part of our informative three part series. We covered the basics of why expert on-site staff members are needed to ensure flawless execution of any event. This week we will dive into Part Two where we will cover how to best utilize on-site staff and the roles they play on a program. Make sure to check back here next week when we will conclude the series with Part Three which will take a look into the qualities that capable on-site staff should posses. In any event there are numerous components that come together seamlessly to make it a success. Most of these are executed behind the scenes and, if done correctly, participants will never know that these intricacies have taken place. The event should look effortless in the eyes of a participant. This is where the difference between internal administrative staff and expert on-site staff truly shows through. Although Travel Directors wear a multitude of hats when operating a meeting or event, today we will focus on the range of tasks that a Travel Director must undertake when operating an incentive travel program and the roles they should be assigned to best utilize their expertise. Important internal and external stakeholders are sure to be at any organization’s event, and while it is important for all participants to enjoy a program, there is an extra level of attention that needs to be paid to the “VIPs”. Regardless of how well an event goes for everyone else, if it goes poorly for the VIPs, the event is remembered as a failure. The Travel Director must go to great lengths to ensure that the VIPs enjoy the program and leave knowing that it was a success. The Travel Director assigned to guest room responsibility has a huge role that requires meticulous organization. They spend a significant amount of time working with hotel staff to manage room blocks and ensure each participant has the correct room for the correct dates. Having someone arrive on the program to find there is not a room for them is simply not an option. Whether it is an early morning breakfast, an outdoor lunch, a mid-afternoon break or a lavish dinner party, participants always remember the food and beverages. It has to taste amazing, be delivered on time and there must be enough to go around. Special requirements and allergies need to be taken into account and the venue must have ample notice to make such preparations. The Travel Director that is in charge of F&B makes sure this happens as planned and is a highly visible part of the team. They keep detailed documentation and invoices to ensure you get what you pay for and are not overcharged. Having the correct information on food and beverage details will help resolve final billing after the event has operated. Travel is one element that stresses participants out on programs. Travel Directors know this and work diligently to alleviate some of this worry by ensuring transportation runs smoothly, efficiently and on time, leaving a positive lasting impression on attendees. Travel Directors assigned to transportation will work closely with car services, bus companies and airlines to coordinate stress-free transportation logistics from the beginning of the program to the end. This allows participants to arrive feeling relaxed and ready for the program ahead. With these things in place, the Travel Director allows for easy facilitation of meetings and, regardless of the primary objective for the business meeting, companies and their participants can run an effective gathering on-site. Entertainment and activities can often be the highlight of a travel program, or any event for that matter. It is the fun part that builds a sense of camaraderie and creates memories that participants will take home and share with others. When activities do not go as planned, it can ruin the participants’ entire program experience. Professional Travel Directors are experienced enough to stop incidents from taking the program off course. Many activities are planned away from the hotel, so Travel Directors must stay on top of all the small details, always be prepared for the unexpected and ensure the participants’ happiness. They are trained to negotiate and can put a program back on track if something unexpected does occur, all without the participant ever knowing there has been a change. Travel Directors represent the client as program ambassadors. They work the hospitality desk and are the face of the program for participants. They help participants with checking into the hotel, confirming activities and pass on important guest information. Participants see value when there are knowledgeable staff members on hand to deliver accurate, timely information or to help with any need that may arise. The hospitality desk is a hot spot for activity, with Travel Directors keeping things organized and efficient. Most travel programs will incorporate specially sourced gifts that participants receive before the program, when they arrive on-site, during activities and delivered to their rooms on certain nights. Travel Directors take charge of all these amenities, keeping them organized and on track. They start by procuring the correct items, getting them through customs and ensuring that they arrive on time. They make sure quantities are correct and that colors, sizes and styles will bring the most enjoyment to the participants. These Travel Directors work behind the scenes to organize everything by working with the hotel bell staff. Travel Directors make sure the Bell Captain knows as much as possible ahead of time, so they can guarantee adequate bell staff and resources are available to properly execute the room drops at the scheduled times. Whether responding to one individual, or the entire group, JNR’s on-site Travel Directors are prepared should an emergency strike. When a situation impacts on your travel program, rest assured, they have the comprehensive training, skills and resources to manage the well being of all your participants. By assigning Travel Directors to specific aspects of programs their skills can best be utilized, focusing on their assigned element, while using any down time to assist other Travel Directors where needed. Their job is to make your company look good. With its own airport as well as being situated within a half hour drive of LAX, Long Beach makes the perfect destination for meetings, conferences and tradeshows in sunny Southern California. This beach city is home to high-end hotels, an extensive-five-acre aquarium and now the newly redesigned Long Beach Convention & Entertainment Center. This ten million dollar upgrade was completed in November of 2013 and features smart spaces that flow flawlessly from exhibit hall to meeting rooms to theaters and pavilions. To encourage networking and interactions between attendees, innovatively designed enclaves, sconces, conversation pods and lounges have been incorporated into the décor and furnishings. No cost has been spared for the customizable lighting and smart sound systems designed with mood-enhancing elements that result in a versatile special-events space. 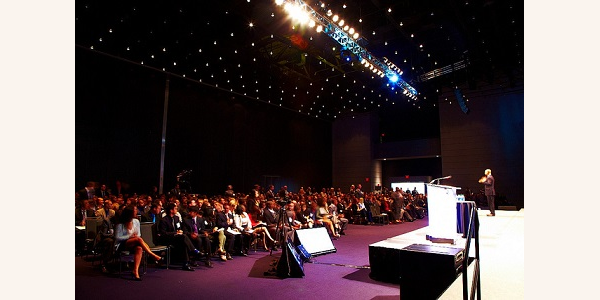 The convention and entertainment center can accommodate 9,000 people but has the ability to change shape, size and atmosphere on command to create a truly customized experience that fits varying attendance numbers and make each event truly unique. 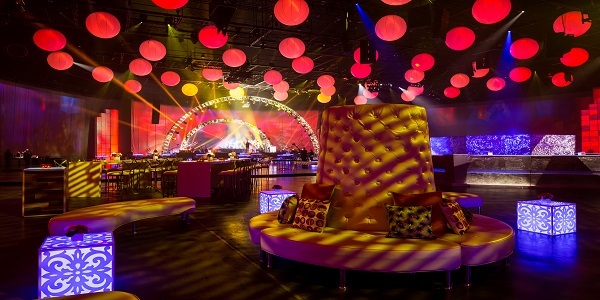 The state-of-the-art moveable ceiling truss system allows event organizers to tailor the entire center’s ceiling to the exact height and specification desired – an innovative idea influences by TED conferences that have been held at this site for five years. The location is perfect – right in the heart of downtown Long Beach where attendees can spend their spare time exploring the permanently docked RMS Queen Mary or enjoying the many maritime activities in the Mediterranean climate. At the end of the day, organizers and attendees alike can enjoy a handcrafted cocktail while taking in the beautiful 360-degree views of Long Beach’s dynamic and vibrant landscape. If you would like more information on how JNR can help you create a truly unique event at the Long Beach Convention & Entertainment Center please email jnrinfo@jnrcorp.com or give us a call at 949.476.2788.